Ellen Tadd is an internationally known clairvoyant counselor and educator who has been teaching and counseling for more than forty years. She is widely respected for the integrity of her work, the accuracy of her perceptions and guidance, and the clarity and usefulness of her teaching. Tadd has lectured across the country at colleges, universities, hospitals, and community groups. Tadd is the author of two other books, The Wisdom of the Chakras and Death and Letting Go, which appeared on the Boston Globe bestseller list. "The first piece of wisdom in Ellen’s guidebook for life on earth is a priceless gem: go deep within the silence of your own being, and pay attention to what you hear. She invites readers to connect with their own guidance by suggesting oneness practices, synthesizing the spiritual and human condition, and shifting perspective to view life through a spiritual lens. 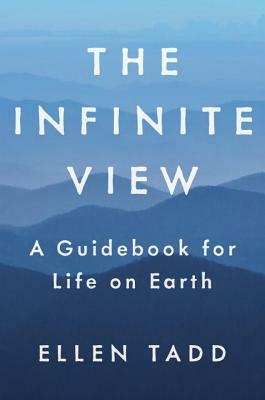 The Infinite View is a warm and compelling read about dimensions of life beyond the ordinary."